Thank you to our volunteers, staff, sponsors and supporters as well as Brenda Schwarzkopf and her family who made the 25th Anniversary General Schwarzkopf Memorial Sporting Clays Classic so special. Below are our sponsors and photos from this years event. We appreciate your support and hope you will join us in 2020, scroll below to save the date and for more information on next years event! 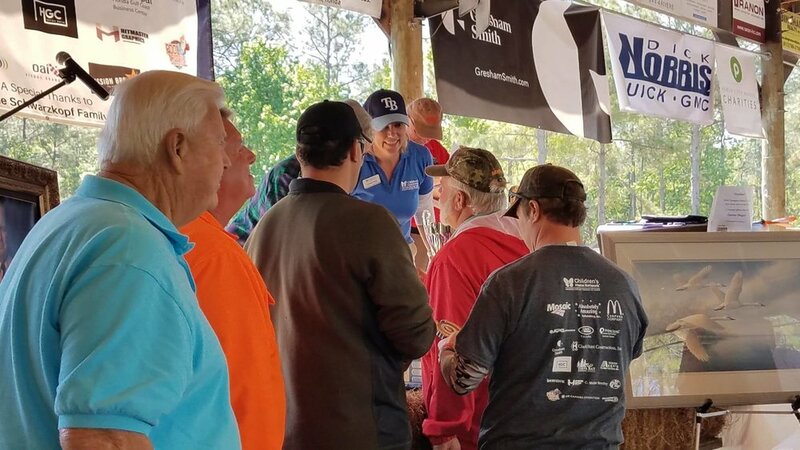 We hope to see you back at Tampa Bay Sporting Clays next year for the 26th Anniversary of the General H. Norman Schwarzkopf Memorial Sporting Clays Classic, benefiting the Children’s Home Network. The 26th Anniversary shoot will feature a delicious breakfast, commemorative giveaways, lunch, shirt, free prizes and more! Follow our Facebook Page @CHNSportingClays for the most up-to-date information. Please contact Lauren Ruiz at lruiz@childrenshomenetwork.org or 813-864-1537 with any questions. Check out this video of the 23rd Annual General H. Norman Schwarzkopf Memorial Sporting Clays Classic in 2017.